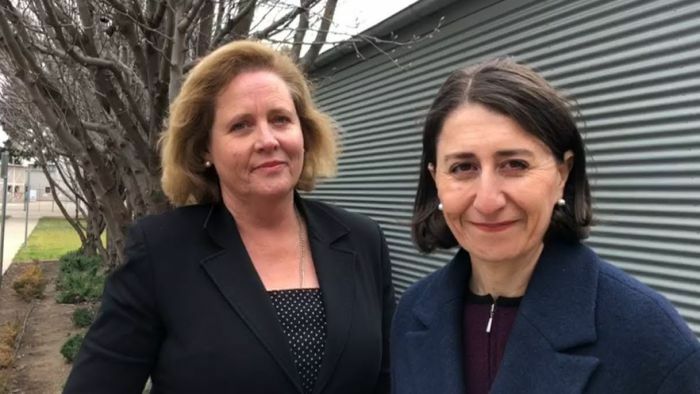 The Liberals have lost the 2018 Wagga Wagga state by-election in NSW, ABC election analyst Antony Green has said. Results indicate the Liberal Party’s first-preference vote has halved since the last election in 2015, with an almost 30 per cent swing against it. Liberal candidate Julia Ham is currently in second place behind independent Dr Joe McGirr. The Labor Party’s Dan Hayes is in third place. “At the moment it appears that of the three candidates in this contest, the Liberals are currently the least likely to win,” Green said. The winner out of Labor’s Mr Hayes and Dr McGirr will take a week to be determined, but Green said it was “certain the Liberals have lost”. Independent candidate Dr McGirr told reporters he was “delighted … with the result and the counting” so far. “I feel very honoured. So far we are ahead of the primary votes. That is a big vote of confidence,” he said. The Liberal Party has held the safe Riverina seat for around six decades since winning it in a by-election in 1957, before it was vacated by disgraced MP Daryl Maguire. The by-election was held against the backdrop of the recent federal leadership spill, combined with revelations that Mr Maguire sought payment over a property deal. Dr McGirr told the ABC one of the reasons he put his hand up to run was because their was no Nationals candidate, and Nationals supporters have been handing out campaign material on his behalf. But he denied he would defect to the regional party if he won. Earlier in the night, Liberal candidate Ms Ham told supporters that based on early figures she was unlikely to win. Despite this, a Liberal Party spokesman told the ABC the postal votes were better than the expected for the Government, so they were not yet conceding. Earlier in the day at the North Wagga Public School booth, the mood of voters was distinctly against the Government. Ron Edwards from Oura said he changed the way he voted. “Without telling you who I voted for, we definitely need a change,” he said. Mr Edwards added that the recent federal leadership spill also influenced his vote. Another voter, who did not want to be named, said he was out to ensure Wagga was no longer a safe seat. “I generally vote to make a seat marginal so things will happen,” he said. “Then the money will flow, the interest will flow, different parties want to win it.